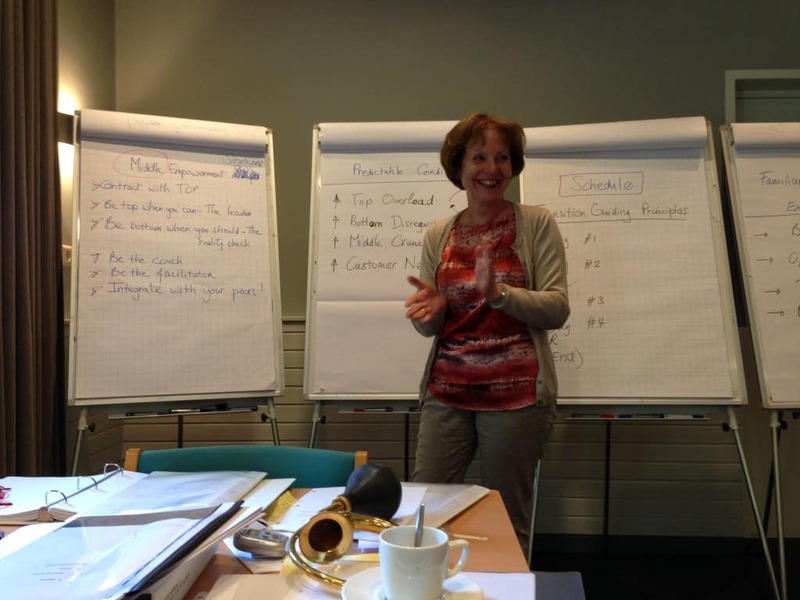 Last weekend at the Perspectivity Network Event, Franciska Fleminger presented the Organisation Workshop, introducing Barry Oshry’s ideas on power and leadership. The group learned how -and how not- to collaborate as a company. They were asked to take on different roles: ‘top’ and ‘middle’ (managers), bottom (workers) and customers. Five full working days of the life of a creative firm were played in a little over an hour. In between, experiences were discussed during time-outs. The challenge: how to create productive partnerships? The normal way of working tends to undermines partnership. Based on ‘stuff’ that happens, we tend to make up stories, judge each other -for example as insensitive or incompetent- and take things personally. We tend to react in unproductive ways, for instance by getting mad or even, instead of focusing on what we want to happen. Oshry proposes an alternative strategy based on improving our understanding and empathy for others. Focus on what you want to happen, be strategic. That’s when true partnership can be created. During the day different strategies and levels of integration were explained and practiced. It was amazing to experience how powerful the roles are that organizations impose on people. In our exercise, we saw ourselves operate quite differently as ‘Tops’ than as ‘Bottoms’. Surely, WE wouldn’t be susceptible to that…. The next Perspectivity Network Event will take place in October. Together with Charlotte Keijzer we will explore how to install a restorative system within Perspectivity. ← “Cumberland Lodge: ‘A house for Ideas’. Building a practitioner network in the UK”?